Stomach ulcers in horses are far more common than most people realise. It has been suggested that one in three horses suffer with this painful affliction. Stomach ulcers are painful sores found mostly in the lining of the stomach or the small intestine. The normal thick lining of mucus that covers and so protects the stomach from the strong digestive juices is much reduced, allowing the juices to start to ‘digest’ the stomach. 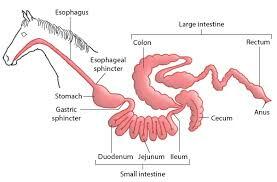 Endoscopy, the procedure vets used to diagnose ulcers, can only identify those in the stomach or oesophagus. They will not find those in the intestine or cecum. Horses, being prey animals, need to keep their pain to themselves. They can’t afford to let predators notice their weakness. Which means it is up to us to be hyper vigilant in sensing when there is a problem. Foals who suffer from gastric horse ulcers are more likely to be feeling the dam’s stress. Ulcers can become severe. These may need specialised treatment. Although veterinary health would suggest the cause is from over production of stomach acid, this really isn’t a cause. It’s an outcome, or the effect of a cause. A course of drugs to reduce the acidity may well ‘cure’ the problem in the short term, but as they are not curing the cause, in the long term, they will return. Real causes include the use of anti-inflammatory drugs, certain foods (such as high grain concentrate feeds), but topping all the causes is STRESS. Horses are prey animals, which means they rely on super-sensory perceptions, micro-managed reactions and are alert for much of their lives. In the natural state, these are all normal reactions and don’t affect their physiology. Galloping away from a stressful situation and sharing the problem with the other herd members, does wonders for neuralising the effects of the natural release of cortisone/cortisol. However, in their domestic state, their movements and behaviours are restricted, their natural reliance on a supportive herd is usually absent, they can even be alone. All these cause the horse great stress, which builds up over time. The stress can find no natural outlet. But this is just the start of the problem. Stomach ulcers in horses become a common problem when they are not fed little and often, as they do when grazing naturally. Stabled or yarded horses will often only be fed two, three or four times a day. This is completely unsuitable for a horse, unless it is very slow feeding, lasting several hours. 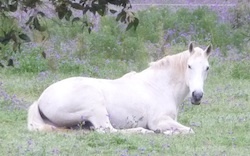 Even then, without the natural and slow movement associated with grazing, the horse can still suffer. The best ulcer treatment for horses in this situation is to put them out to grass, preferably with a companion or three. Within a month or less, the ulcers will have gone. However, they are likely to return if the horse is returned to their previous unsuitable and stressful living conditions. 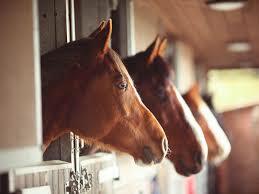 Racing and high performance horses are those horses most likely to suffer with gastric ulcers. It doesn’t take a mind reader to shed light on this. Humans are, in general, insensitive and ego or profit driven. This means they very rarely notice the stress in a horse, a highly sensitive animal. And even when they do, if they have a race or show to attend, they will more likely turn a blind eye than consider the horse. Very few riders really listen to their horse and frequently make unsuitable demands on their abilities. This causes the horse great stress. Frequently horses are ridden suffering pain between a severe, and usually misused, bit and spurs and/or whip. Stomach ulcers in horses are completely a man-made condition. We are the cause. Therefore we can be the solution. To permanently cure this problem, be very aware of the causes of this problem, which domesticity causes horses. With the lack of constant feeding (and moving) being a cause, the solution is to allow your horse to graze most of the day. If this is not possible, then make sure there is bulk food available for the majority of the time. A grazing horse roams. Restricted movement in stables and yards can cause immense stress. The horses basic instinct is to flee from danger. Preventing that can be a major stress trigger. With the lack of company being a cause of stress in horses, make sure your horse always has company. It doesn’t have to be another horse, although that is preferable. A goat, sheep or cow with a horse can offer each other suitable companionship as they are all herd animals with a strong desire for company and the support that gives. Develop sensitivity. Try to put yourself in your horses shoes. Try to feel what they feel. Don’t go for a ride with other people because your focus will be on chatting with them. Spend quality time connecting with your horse – just the two of you, both in and out of the saddle. Be sensitive about what your horse understands from you and what they are currently capable of. Avoid highly concentrated food or dilute it down with a large amount of bulk. 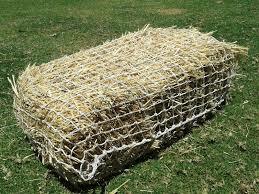 If your horse is overweight or with a tendency to founder/laminitis, then get the slow release hay nets, or put a box around a bale, or put them in a poor paddock. Instead of using drugs, which can trigger many more illnesses than they prevent, use homeopathic treatment for horses instead. Homeopathy doesn’t suppress the symptoms. Instead they support what the body is trying to do, they increase the ability of the immune system. They are safe, effective and very economical. Horses love them, so there is no coersion. Natural horses health is the way a horse lives in the wild. This is the life they have evolved to live and serves them very well. Amazingly we can deviate from that to a large extend, showing the willing adaptability of the horse. However, this deviation demands sensitivity and insight. Change the way you think about illness. Look for ways to prevent it or to cure it naturally. If you have had an experience with stomach ulcers in horses, you may know this.